Paperwork, paperwork, paperwork. You don’t have time to create it, so copy and paste it! 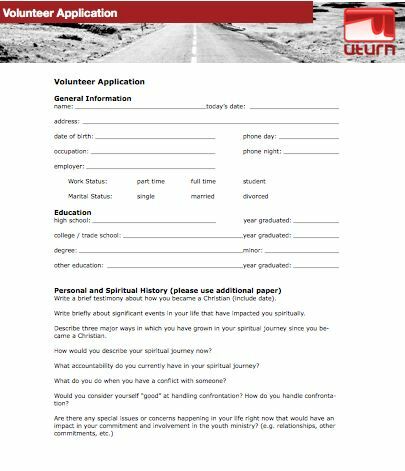 Here’s the entire volunteer application packet we give to all our prospective youth volunteers. This is accompanied by a background check form as well. Let me know how you use it! All forms are in pdf, Word doc, and Apple pages format.